We pick up “The Flintstones” by Mark Russell for the next installment in our Best of 2017 series and are caught off guard and blown away. This episodic resurrection of the cartoon/live-action/vitamin-based franchise lands a surprisingly perfect balance between humor and poignant social commentary. We talk about all the ways this comic is great: the moments we laughed, the moments that got us thinking, and the moments we took away. 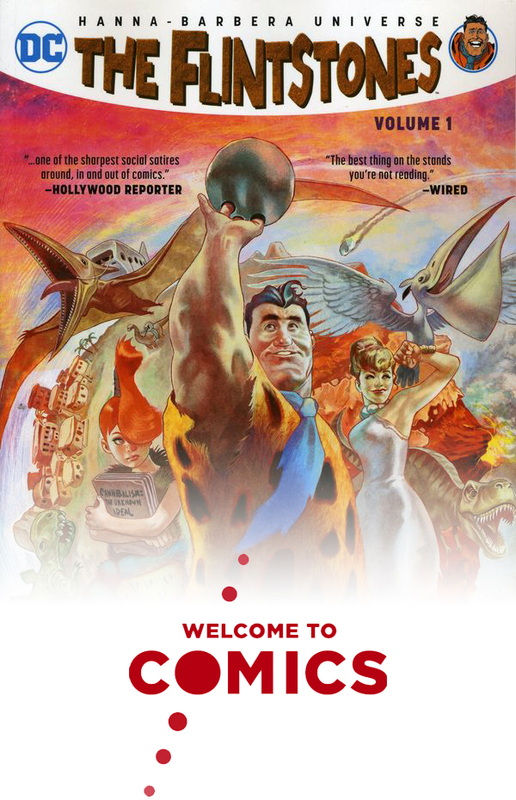 Could a Flintstones comic book actually be “Capital L” Literature? Plus, we talk about Star Trek: Discovery, Babylon 5, and Stargate’s daunting barriers to entry. This week’s comic discussion starts around 12 minutes in. To hear past episodes, go to www.WelcometoComics.com. Support the show today and check out bonus content over at www.patreon.com/WelcometoComics.